Every day we receive a huge number of emails for our professional and personal lives. Email has provided us significant benefits including being able to communicate easily, and conveniently exchange information. But in return, emails have also resulted in increased frustration and lowered productivity levels. Most of the time we feel oppressed by our inboxes because we know that those 126 unread emails won't be any fewer tomorrow. Our inboxes are full of information that we must handle properly, classify and prioritize to organize our daily work. If not, this flux of information will soon become a burden, making us less productive. So what if I told you that email was a tool of the past? It's obviously useful in specific cases, but now we're sending outrageous numbers of emails without questioning their utility. Email is linear, which means that it's meant for one to one conversation, and not for group synchronization. Plus, anyone can send an email with CCs and BCs, talking about multiple project in the same message. Emails do not help us pre-sort the content we share. They are like an open box where anyone and everyone can drop his/her content in, hoping for someone to pick it up. And it's even worst when it comes to file sharing. 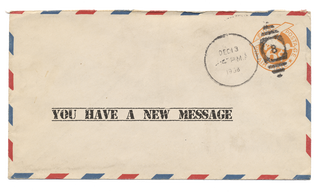 Email encourages document versioning and knowledge dispersal. Between uploading and downloading, it's very easy to lose track of a document, and who actually has the final version. An email inbox is personal and private, it's your own space. Who has your email password? Not a lot of people I imagine. The emails in our account are only accessible by us, and they may even get turned off when we leave the company (think about the potential loss of data). You can of course share the knowledge you hold in your inbox by forwarding an email, but now think about the waste of time. Wouldn't it be easier to have a common « inbox » where co-workers can access information that we've chosen to share? We shouldn't work according to pushed information. It's not because someone sent us an email that we'll organize our working day according to what they said. We must pull the information when needed. Of course, we need to discuss aspects of our info with others, but we should only be checking our emails once or twice a day at a set time. Plus, anyone can send us an email (our mom, our boss, a client) and prioritizing our emails is almost impossible. So how do you make sure you don't lose a client's email that could end up being worth a million dollar contract..? Answering it right away, even if it's not the right time? An Email is Always "URGENT"
When we send emails we always hope for a quick response, because naturally, our email is URGENT! But how many "urgent" emails do we receive every day? Who really decides how important the message is, you or everyone else? With the multiplication of mobile devices, nobody believes we won't receive the email right away, making us available at anytime, anywhere, and ready to answer everyone elses "urgent" matters. But are we really available at anytime for anything? I know this is hard to believe but most of us are actually addicted to email. Email abuse starts when we begin to replace other forms of communication. Emails are just so easy to use: we type, we send. But they are ineffective at conducting a discussion, carrying on a conversion, synchronizing a team or managing a group project. Emails are antisocial. Awesome knowledge is shared every day by email. The problem is, it's read and then promptly forgotten. Think about all the social networks where a message can be heard by a group of people, and action can be taken using the information (save, share, comment). With email, there are too many ideas stuck in one person's inbox. Most of which will never be read by the right person. The good news is that they are application out there, not to replace the emails, but to use it for its initial purpose and to complete it with a more social and organizational solution (see one example here). Those Application will replace your internal email exchanges in no time by organizing your content. Your daily organization becomes more intuitive, and now you are the one pulling the information and not having it pushed on you anymore. So my question is: Do you use one of those applictions? If so, which one?